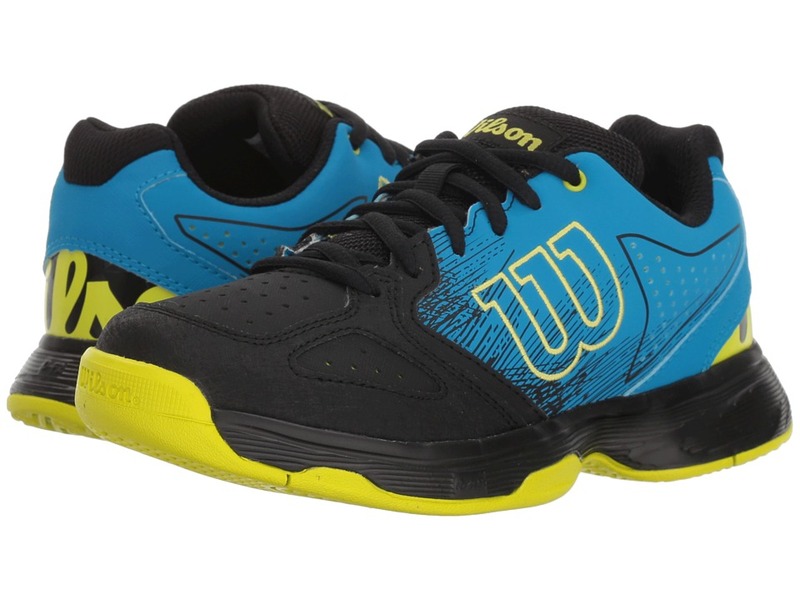 Serve your best game in comfort with the Wilson Kids Rush Pro 2.5 Jr Tennis sneaker! 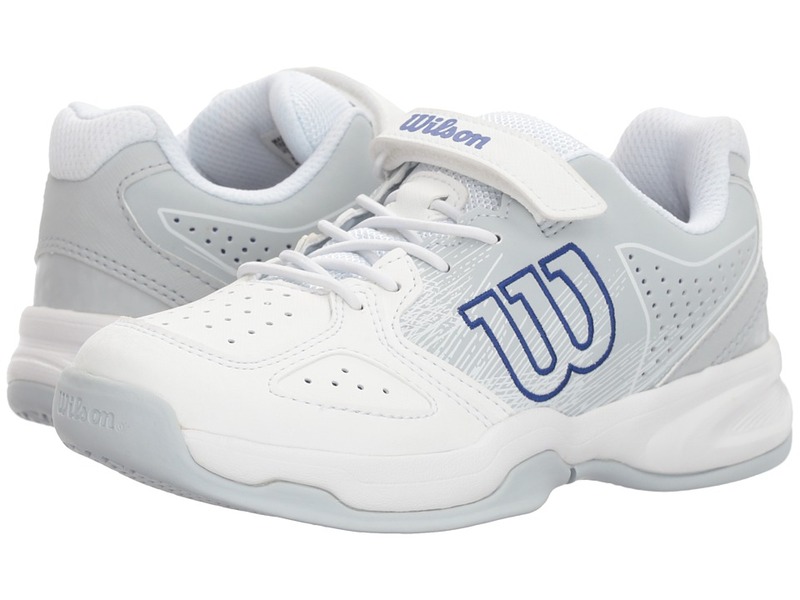 Combination synthetic leather upper with mesh panels is lightweight. Centralized lace-up closure for a snug, secure fit. Rounded, closed toe. Padded tongue and collar offers added comfort. Mesh lining for a breathable wear during play. 2D-F.S cushioned midsole offers comfort and responsiveness. Duralast outsole delivers traction for quicker cuts on the court. Imported. Measurements: Weight: 7 oz Product measurements were taken using size 13 Little Kid, width M. Please note that measurements may vary by size. Weight of footwear is based on a single item, not a pair. 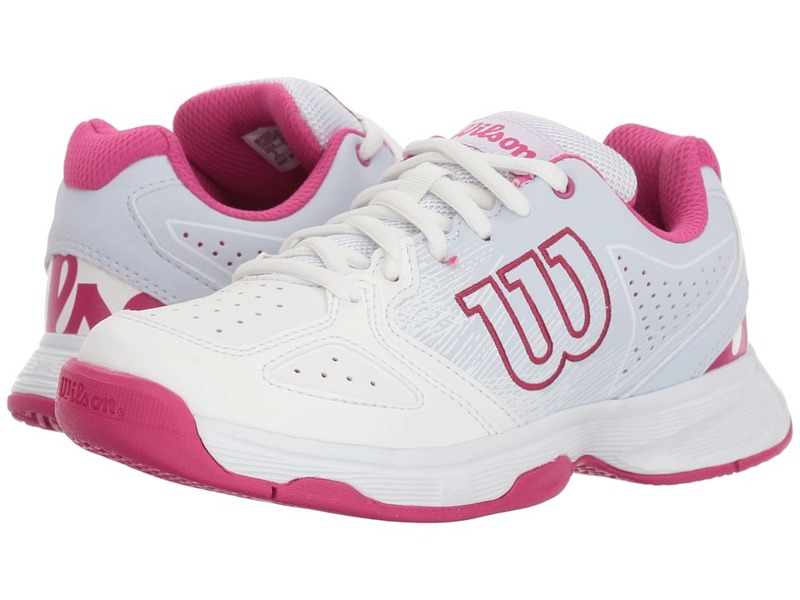 They will be well prepared to hit the court with the Wilson Kids Stroke Jr Tennis sneaker. Lightweight upper made from faux-leather and textile materials. Lace-up construction with blind eyelets. Rounded toe with rubber reinforcement. Die-cut perforations for added airflow. Padded tongue and collar offer extra comfort. Textile lining. Cushioned footbed. EVA midsole. Rubber outsole. Imported. Measurements: Weight: 7 oz Product measurements were taken using size 2 Little Kid, width M. Please note that measurements may vary by size. Weight of footwear is based on a single item, not a pair. 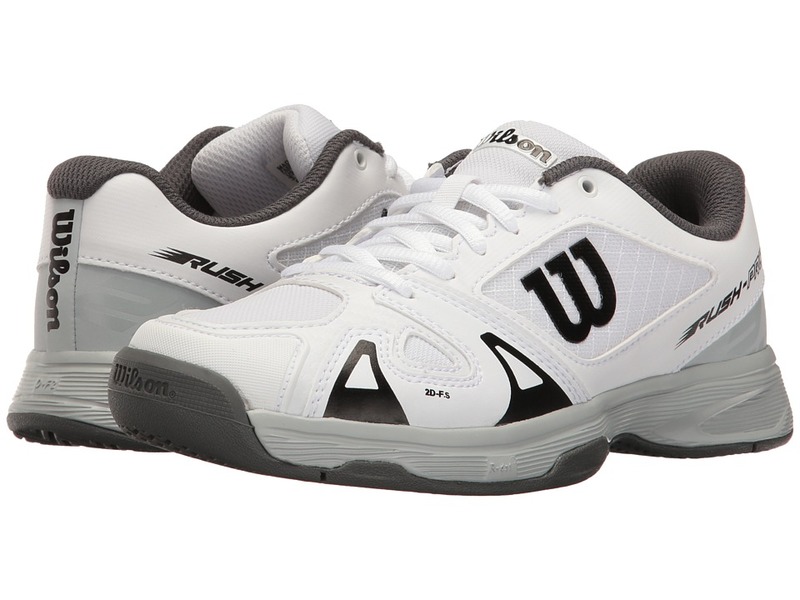 Wilson Kids hits the court with the Stroke K Tennis sneaker. Lightweight upper made from faux-leather and textile. Lace-up closure with hook-and-loop fastener. Die-cut perforations for added airflow. Padded collar for extra comfort. Textile lining. Padded footbed. EVA midsole. Rubber outsole. Imported. Measurements: Weight: 7 oz Product measurements were taken using size 1 Little Kid, width M. Please note that measurements may vary by size. Weight of footwear is based on a single item, not a pair. 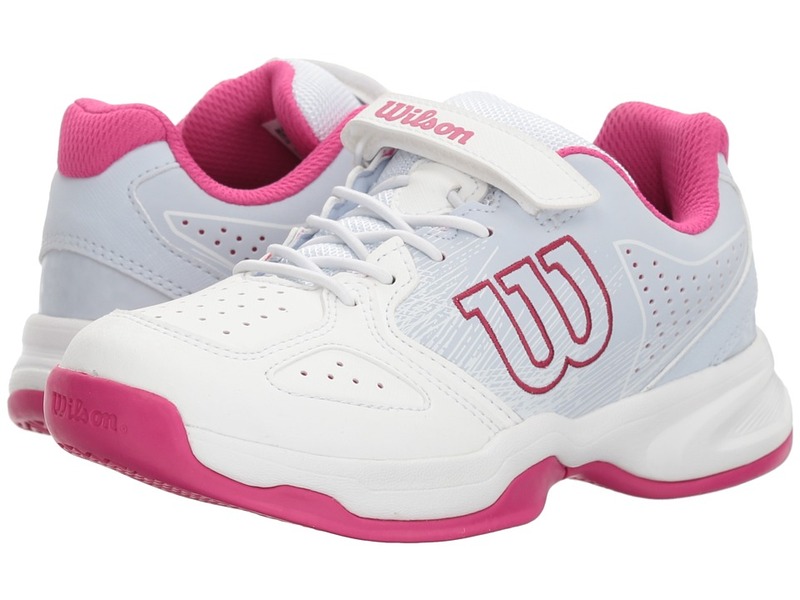 They will be well prepared to hit the court with the Wilson Kids Stroke Jr Tennis sneaker. Lightweight upper made from faux-leather and textile materials. Lace-up construction with blind eyelets. Rounded toe with rubber reinforcement. Die-cut perforations for added airflow. Padded tongue and collar offer extra comfort. Textile lining. Cushioned footbed. EVA midsole. Rubber outsole. Imported. Measurements: Weight: 8 oz Product measurements were taken using size 2 Little Kid, width M. Please note that measurements may vary by size. Weight of footwear is based on a single item, not a pair. 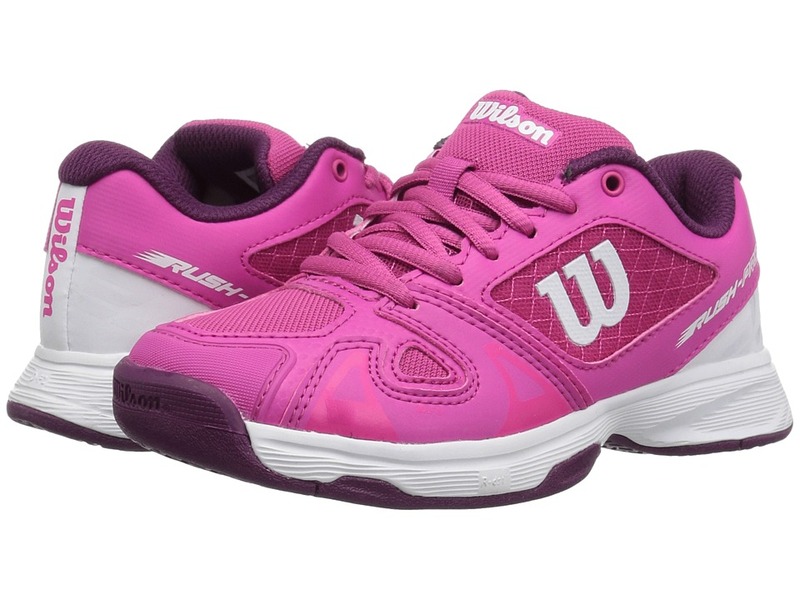 Serve your best game in comfort with the Wilson Kids Rush Pro 2.5 Jr Tennis sneaker! 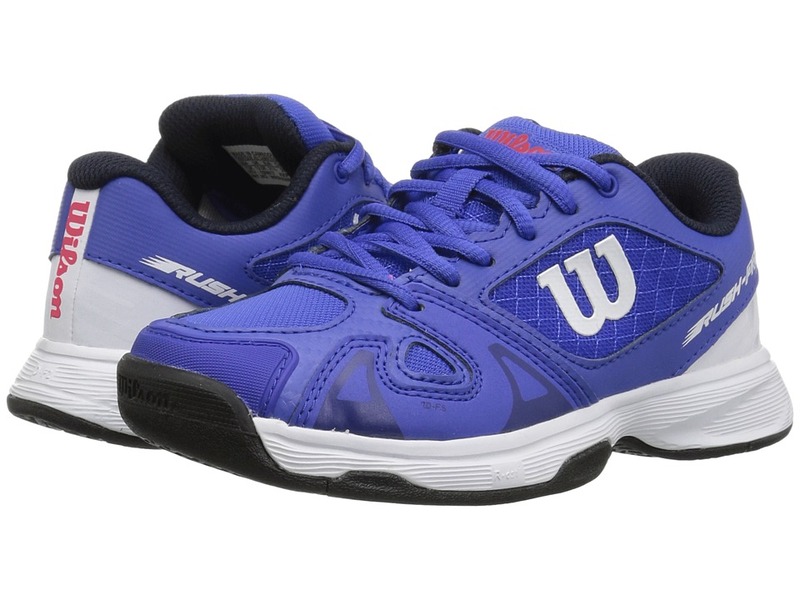 Combination synthetic leather upper with mesh panels is lightweight. Centralized lace-up closure for a snug, secure fit. Rounded, closed toe. Padded tongue and collar offers added comfort. Mesh lining for a breathable wear during play. 2D-F.S cushioned midsole offers comfort and responsiveness. Duralast outsole delivers traction for quicker cuts on the court. Imported. Measurements: Weight: 6 oz Product measurements were taken using size 2 Little Kid, width M. Please note that measurements may vary by size. Weight of footwear is based on a single item, not a pair.